The greatest tabletop co-op game ever made? Way, way back in the prehistory of the Tabletop Co-Op column, more than six years ago, we covered our very first cooperative board game here at Co-Optimus: Pandemic. In the time since that first article ran, Pandemic has become one of the most popular board games in the world, spawning a dice game, an upgraded reprint, and several expansions. Last fall, a campaign-based version of the game, Pandemic Legacy, was released, and it is one of the best cooperative gaming experiences I’ve ever had, tabletop, console, PC, or otherwise. Pandemic Legacy, at its most basic level, is the same game as Pandemic. The world has been overtaken by four virulent diseases, and the players take on the roles of a team of specialists looking for the cures. Players must balance treating diseases in order to prevent rampant spreading with ending the game by finding the cures. Characters have different abilities that allow them to break the rules, and that’s a good thing because the game can be very difficult! At various points through the game, the action intensifies, and you must work harder and smarter in order to cure all the diseases before it is too late. 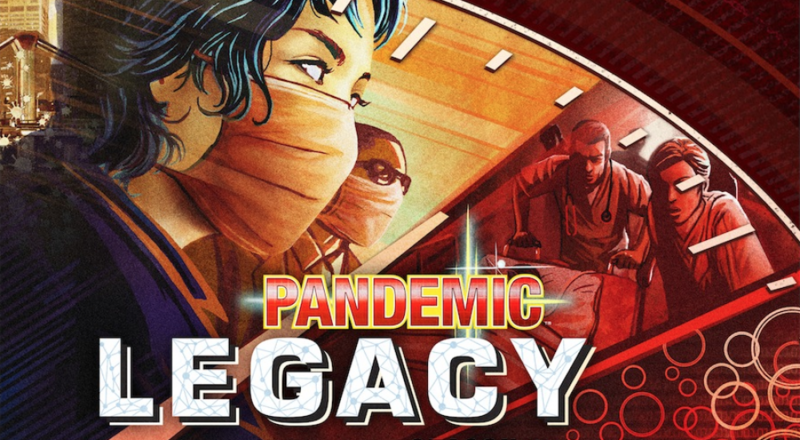 So how does Pandemic Legacy differ from the original? As you might surmise, it’s all about the “Legacy”. In 2011, the board game Risk Legacy was released, and it featured the concept of a series of Risk campaigns where the actions and events of one game would carry over into the next, and the rules changed over time. Risk Legacy was unique, but flawed, and Pandemic Legacy has taken the idea of the “Legacy” persistent gaming experience and turned it into something truly special. It’s difficult to discuss the Legacy aspects of the game without spoiling it, so if these descriptions seem generic, it’s for a good reason. 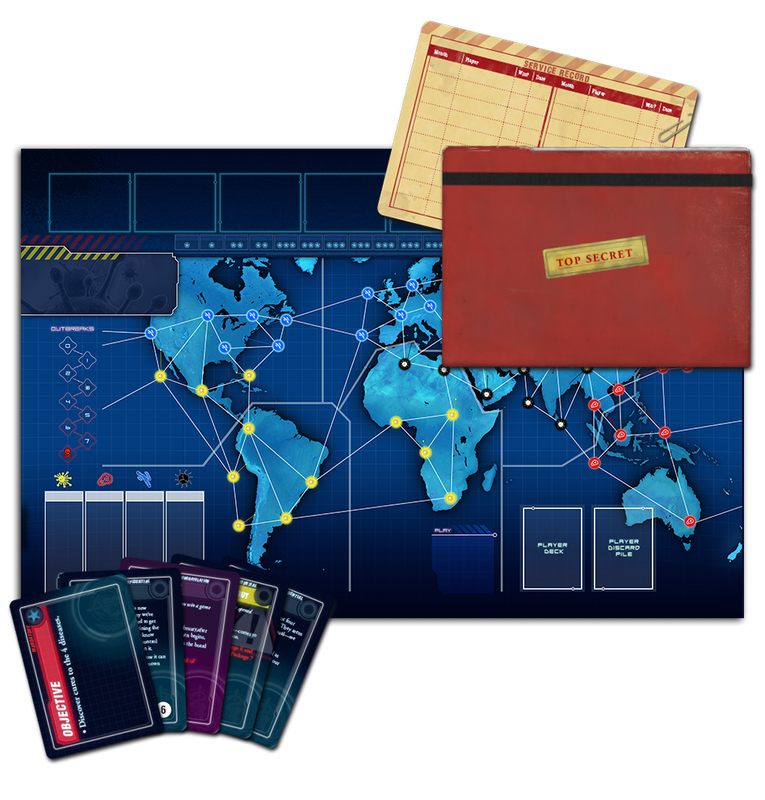 Pandemic Legacy is played out in a series of scenarios taking place from January to December of the in-game year. The game changes from one month to the next, sometimes in minor ways, sometimes with massive events that change the very nature of the game itself. What begins as a mostly normal game of Pandemic in January shifts and alters throughout the year’s sessions into something far different. One of the most important aspects of Pandemic Legacy is character growth. The characters that players choose to use the most often will change over time. You might be able to upgrade them, gaining new abilities to make them more effective at their job. But if you aren’t careful, your character could become scarred, and have to choose a permanent disadvantage. You will develop a close attachment to these characters, but be careful: you can lose a character forever! Page created in 0.7739 seconds.